Since its launch in 2014, California Coastkeeper Alliance’s Blue Business Council has become an effective platform for amplifying and unifying a business voice to advocate for clean water and a healthy ocean in California. It also serves to deepen ties between Waterkeeper organizations and local businesses that share their clean water ethic. The Council is comprised of both companies who Waterkeepers know and love in their respective communities, many of whom have been supporters for years, as well as new partners who have a demonstrated a commitment to water and ocean issues and environmental stewardship. Together, Council Members offer a business voice urging action on pressing issues facing California like offshore drilling, plastic pollution, and water conservation. In December 2016, CCKA welcomed Samudra Skin + Sea to the Council. Samudra, a small, San Francisco-based skin care company, encapsulates the spirit behind the Council’s initial development. 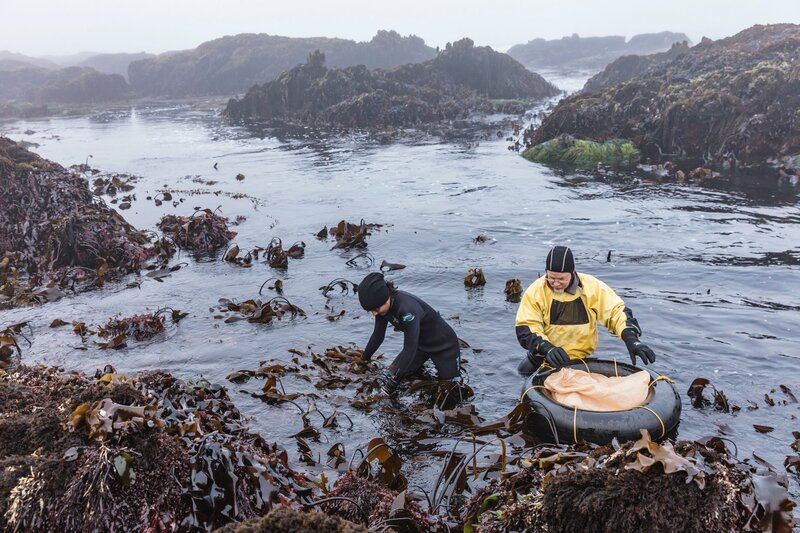 They utilize innovative and sustainable harvesting practices to produce their organic seaweed-based skin care products and partner with various conservation organizations to advocate for ocean health. Since joining the Blue Business Council, Samudra has actively engaged with CCKA on social media and signed various legislative letters defending California’s coast, ocean, and waterways from the anti-environmental threats of the Trump Administration. The support of Samudra and other Council members in 2017 also helped secure the passage of Assembly Bill 250, which will expand coastal access by increasing the availability of low-cost coastal accommodations. Samudra’s founder, Shilpi Chhotray – trained in marine science and conservation policy – is also the Senior Communications Officer of Break Free From Plastic, a global movement of over 1,000 of NGOs, including CCKA, committed to stopping plastic pollution at the source through corporate campaigning, enforcement, and education. Shilpi’s involvement in the movement has inspired Samudra to dramatically reduce its own plastic use. Samudra products now come in reusable glass containers with bamboo lids, packaged in compostable boxes certified by the Forest Stewardship Council. This sort of business engagement serves to reduce contributions of plastic into the waste stream, an essential component of Waterkeepers’ larger strategy to reduce trash pollution in our ocean and coastal ecosystems. Samudra’s zero-waste program is a great example of the actions businesses are uniquely positioned to take, to not only support the work of Waterkeepers, but also provide real, tangible progress in the fight against plastic pollution and other threats to our coast. Their ‘ocean-first’ business model embodies innovation and sustainability and we are proud to have them as a Blue Business Council Member. Policy Analyst Leah Campbell builds multi-stakeholder partnerships to develop sustainable water policy.